Clothes dryers can be so convenient; they are quicker and easier than hanging out a load of washing, but they can have some drawbacks. The same goes for clotheslines, they have pros and cons. It is important as a consumer of utilities to consider both methods when it comes to drying your clothes. Using a dryer presents a number of pros that a clothes line doesn’t have: it’s reliable, fast and much less effort. But consider the following cons before you decide that a dryer is in your future. First and foremost, a clothes dryer isn’t cheap. Per Canstar Blue’s data on clothes dryers, the average drying appliance will cost you $621; that’s not an amount to spend lightly. 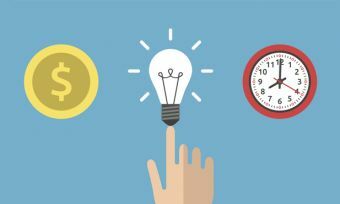 On top of that, the fact that running your dryer once a week for a year will cost you approximately $62.50; based on those figures, you’d be looking at roughly $1,000 over the first six years. But the drawbacks to owning a dryer aren’t just financial. Dryers are nothing if not two things: noisy and hot. If you’re living in a small space like an apartment, a dryer can knock up the temperature by a good few degrees in a matter of minutes. On top of that, dryers can be noisy, and that noise can be a serious bother to you (and potentially neighbours if you live in an apartment complex). They are also massive power guzzlers, so if you regularly use the dryer, you can expect that a pretty hefty utility bill will be on its way. It is absolutely free, uses no electricity, and doesn’t pose a fire hazard; a clothesline is a great choice for those conscious of their bills and the environment. But they can also be a popular spot for insects to hang out, and you don’t want them making their way into your clothes. Clotheslines can also be exposed to other undesirable falling matter, such as the odd bird dropping or leaves if you have nearby trees. This isn’t the end of the world, as most of these problems can be combatted by either shaking out your laundry before bringing it in, or using a portable indoor clothesline. Unfortunately, a clothesline is also exposed to the elements, and there will be no dry clothes outside on a rainy day. If your clothesline catches the shade in the afternoon, it is hard for clothes to dry out; this is also a common problem on humid days. There are three things to think of when choosing a clothes drying method: money, space, and the environment. If you’ve got the money to afford a machine, and pay the utility bill, you can consider purchasing a clothes dryer. As far as space goes, it is all about the most practical option. If you live in a small flat or apartment, you might need to consider the noise and your neighbours before getting a dryer. 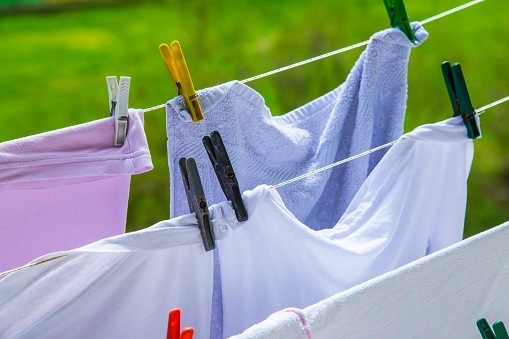 Likewise, if your house is surrounded by trees or doesn’t get much sun, a clothesline is probably not suitable as a sole option either – unless you enjoy waiting a long time for your load of washing to dry. A huge factor (and arguably the most important) to consider when purchasing or using a dryer is the environment; we know for a fact that they can use up a lot of energy. It is important to consider that your use of power may impact negatively on the environment, and whether that is worth having instantly dry clothes.